The current study investigated the impact of a modified Dialectical Behavior Therapy skills (DBT) training group for patients at a hospital outpatient weight management clinic. 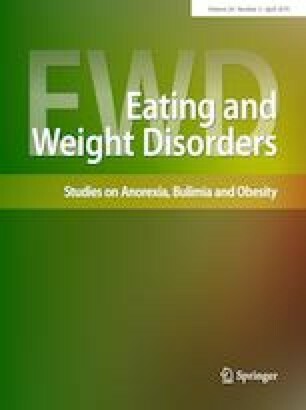 Emotional eating is a problematic strategy for managing unpleasant feelings that can have a deleterious impact on weight management. DBT addresses emotional dysregulation via incorporation of skills aimed at coping with unpleasant affect. This study examines outcomes for 18 patients who participated in a 12-week DBT skills building group. A pre-post design with 3-month follow-up investigated the impact of the group on emotional eating, psychological distress, emotion regulation, and mindfulness. Four repeated measures ANOVAs were run to assess for changes related to life difficulties and functioning, emotional overeating, emotion regulation, and mindfulness. Fisher’s LSD tests assessed for linear and quadratic trends. Improvements in mindfulness, emotion regulation, and emotional overeating were found; these were maintained at follow-up. This study demonstrated the utility of a group-based intervention aimed at improving emotion regulation and mindfulness skills among weight management patients. Further study is needed to determine whether improvements in the constructs studied in this research would translate to improved weight management outcomes and in determining the pathway for improvements. Level IV, multiple time series with intervention. The study was approved by the Ottawa Health Science Network Research Ethics Board.